Our belt capstans ensure the stability of line speed and are highly reliable in long runs as well as with high pulling forces. The stable line speed minimizes cable diameter variations. 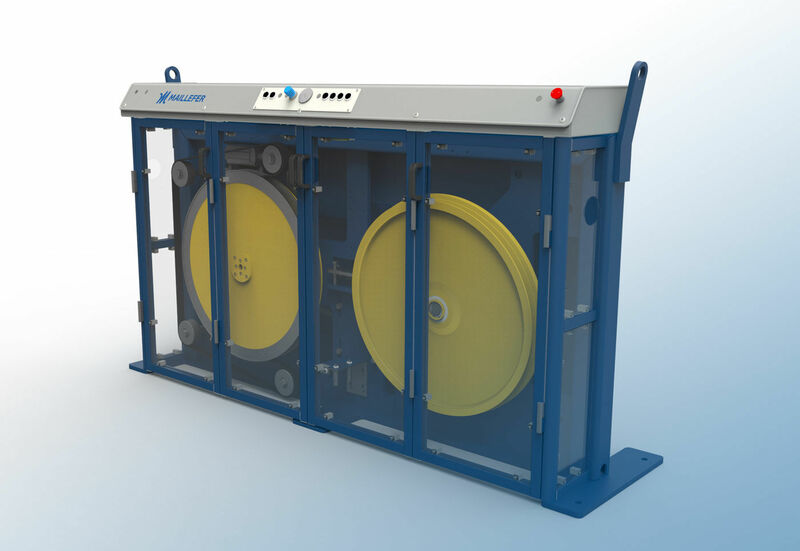 Belt Wrap Capstan BWC 800 is used in cable production lines to run the cable or the conductor at a desired line speed. An accurate speed is achieved with the AC motor, which is controlled by a frequency converter. The converter is located in the drive cabinet. Pneumatic cylinders press the belt against the drive wheel, and the drive wheel provides the pulling force. The pressing force is adjusted from the belt wrap capstan control panel where the pressure gauges are located. The belt is opened and closed from the same control panel.